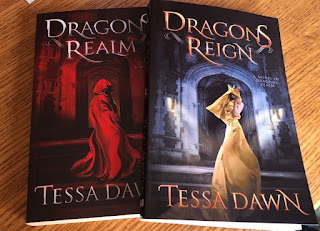 In the decades since an innocent human slave was taken to Castle Dragon, against her will, for the sole purpose of bearing a son for the monarchy, much has changed in the Realm: Alliances made in secret have flourished; sons born of veiled paternity have grown to adulthood; and dangerous warlocks, seasoned witches, and cunning shades have risen to powerful positions. A prophecy is beckoning: “It is time. It is time.” And a lethal dragon prince is growing restless to seize the throne of his bestial ancestors. Mina Louvet—indeed, all the Sklavos Ahavi are caught between worlds. And the web of lies spun by the eldest dragon prince—the treachery, deception, and perversion—may very well spark a war of fire and fury unlike anything the Realm has ever seen—or hoped to survive. 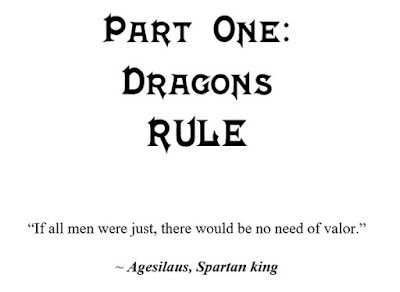 Once again, Mikael Narimore will be narrating the audio book, bringing the dragons and the Realm to life. Once again, Dante, Mina, and all the characters you have come to love -- and hate -- will make an appearance as they navigate this perilous world of shadows, warlocks, slaves, and shifters. It is no longer possible to hide. The time has come for a fearsome dragon prince to rise to the call of The Prophecy. 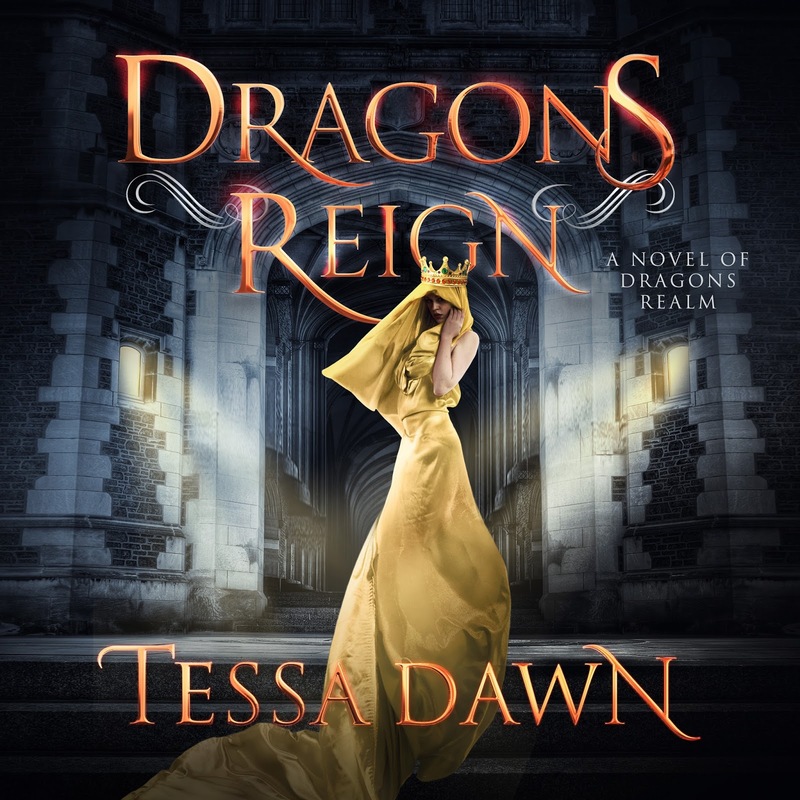 DRAGONS REIGN: a cauldron of blood and reckoning. DRAGONS REIGN: A time of blood and reckoning. 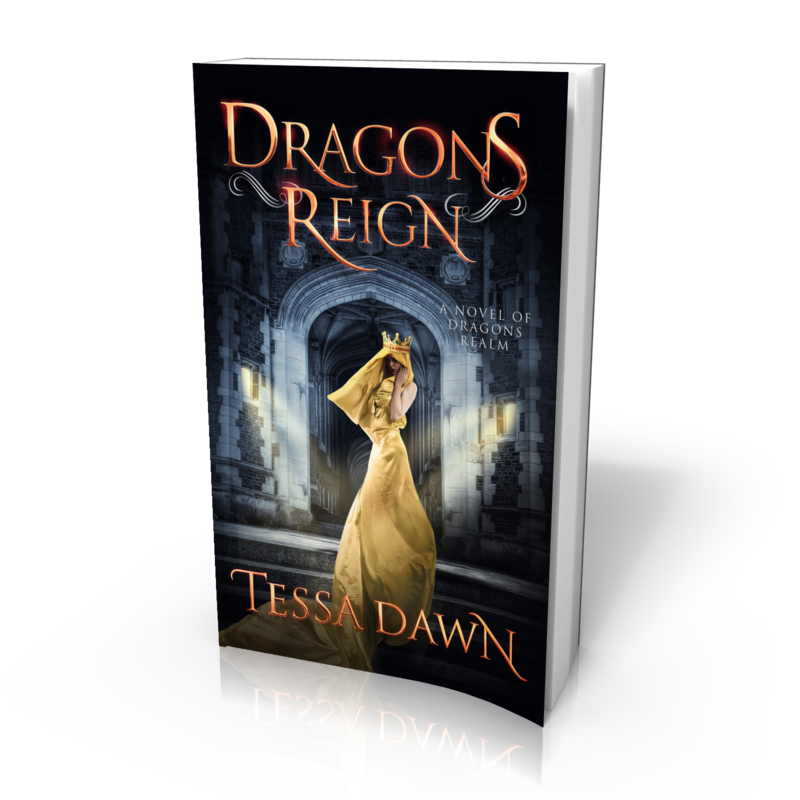 Dragons Realm takes place in the month of May, during the 175th year of the Dragonas’ Reign, the season of the diamond king. Dragons Reign begins in June, during the 206th year of the Dragonas’ Reign, also season of the diamond king. During the thirty-one years that transpire between stories, the Realm, as well as the country of Lycania—the perilous domain of long-lived shifters across the restless sea—enjoy a tentative truce and a season of relative peace. 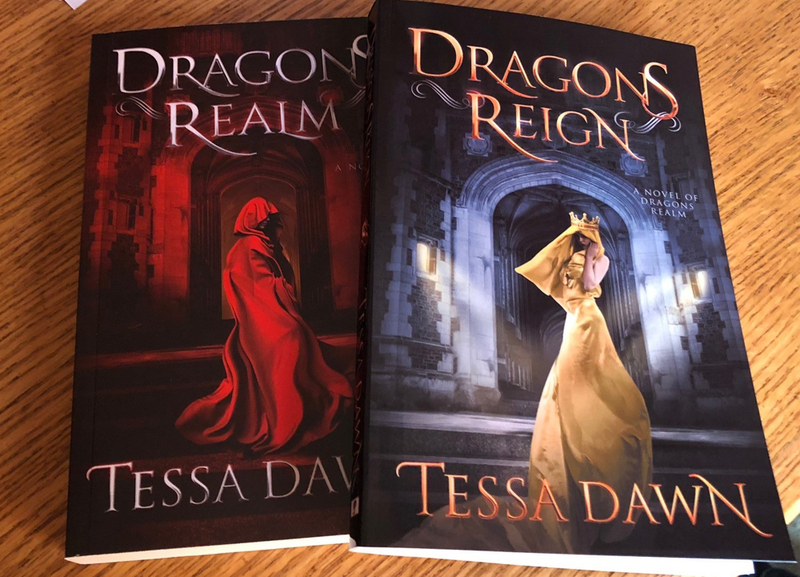 In addition, Prince Drake Dragona continues to rule Castle Commons with his Sklavos Ahavi, Tatiana Ward, whom he has gifted with immortality, and the Malo Clan giants are mostly in check. There is still a covert faction, embittered by their distant history of slavery, who would like to receive reparations and who grow ever restless in the Realm. 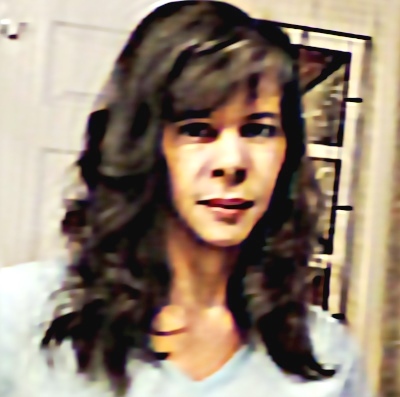 Prince Damian Dragona, who is inhabited by the soul of Matthias Gentry, continues to rule Castle Umbras with Mina Louvet at his side as they raise Dante and Mina’s three children: Aurelio (also known as Ari), Azor, and Asher. All three dragon sons are now grown, and Mina has also been gifted with immortality. Finally, Prince Dante Dragona, next in line for the throne of Castle Dragon, continues to rule Castle Warlochia with Cassidy Bondeville as his “public” Sklavos Ahavi—but she is anything but his consort in private. 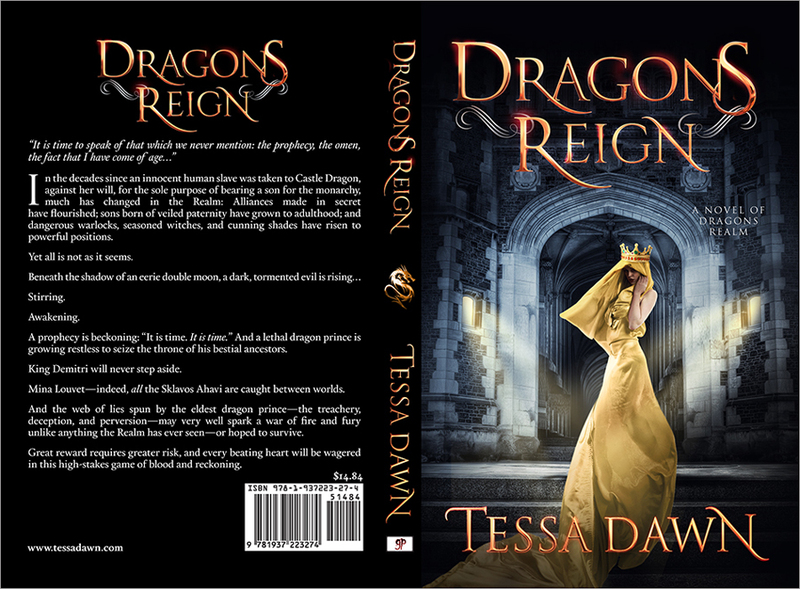 Nonetheless, they are raising Dario Dragona as their own flesh and blood, despite the fact that he was sired during Cassidy’s illicit affair with King Demitri. In the thirty-one years that have passed, Dante has come to honor, admire, and respect his ward, Dario—he loves him like a son, and Dario knows nothing of his secret paternity. All have come to pass. 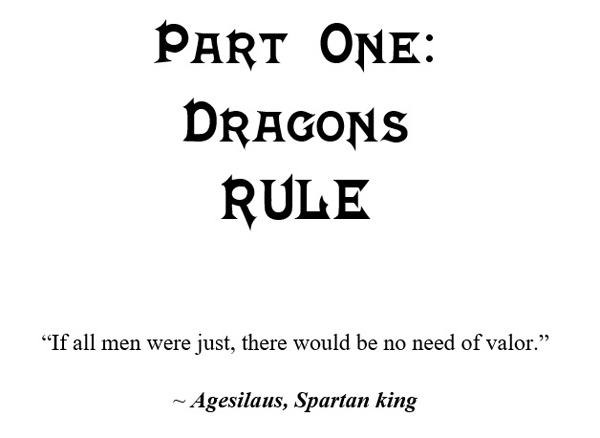 And now, book number two in the Dragons Realm Saga: DRAGONS REIGN.